Leadership at the Top: It’s a Slam Dunk! They do say that a picture is worth a thousand words. And in the case of the countenance of our illustrious president, this old bromide may have captured the dead ringer image of his dominant demeanor. Earthquake riven Japan is in desperate need of American aid. Global markets are a jitter after the Japanese catastrophe. American citizens are in a tizzy over the viability of nuclear power. The rebels in Libya plead daily for some type of tangible support. The US Congress dithers over budget basics while states are facing fiscal failure. And everywhere gasoline prices are going through the roof. The world is crying out for effective leadership and decisive action. But our man of the hour is otherwise occupied. 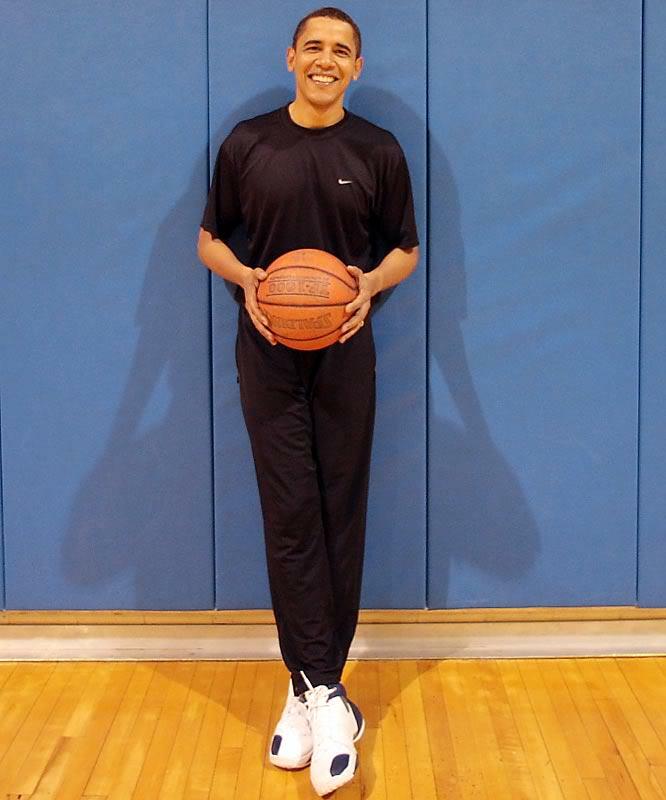 The only presidential positioning going on in the White House today is all that March Madness maneuvering. So sit back, America. Get out the munchies, get out the beer, put up your feet, and enjoy a little B-Ball. The world may be down and out and done and gone, but you can bet Obama’s got his game face on. This entry was posted in Political/Social and tagged college basketball, earthquakes, Japan, leadership, March Madness, obama. Bookmark the permalink.